With that economic backdrop, the resulting plot is propelled by both Mel’s raging rants against life’s misfortunes, and Edna’s desperate efforts to understand what is troubling him. But for the crackling wit of Neil Simon, this could have been a tragic drama. But in the clever hands of this playwright, comic dialogue flies at us so rapidly it is sometimes hard to hear the next amusing line while howling with laughter at the previous one. The Thursday night audience of which I was a part was not nearly a full house, but the roar of audience hysterics would suggest otherwise. Much credit must go to director, Rachel Mattox, for guiding the very successful comic timing of her cast. 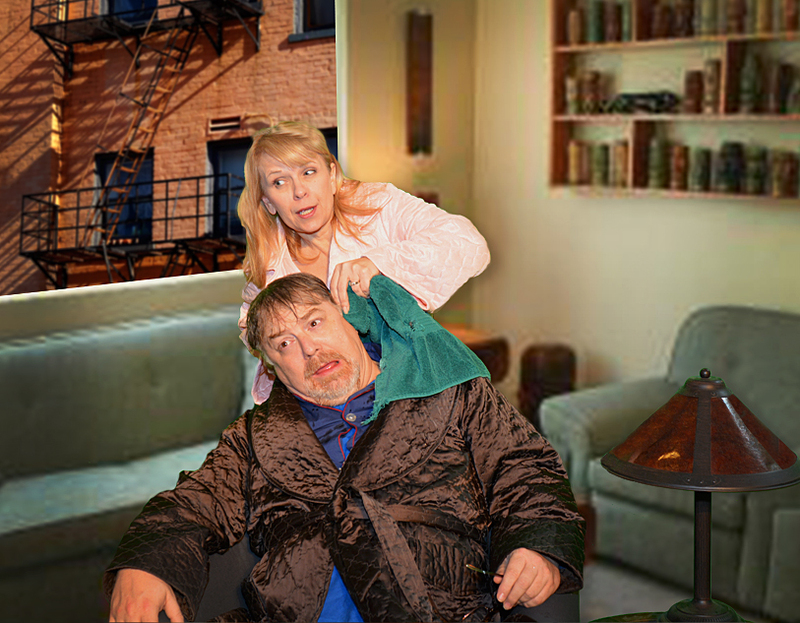 That cast is rounded out in Act II when Mel’s siblings arrive to help their troubled brother. (Alan Hall as Harry, Marcy Bannor as Pearl, Martha Doolittle as Jessie, and Ellen Perez as Pauline.) The conflicting family dynamics about how much monetary help should be offered add to the fun, with Mr. Hall giving us a warm and caring brother Harry who desperately wants to help, and the three sisters each bringing her own brand of clumsy assistance to the equation. But the centerpiece of the humor is the evolving relationship between Mel and Edna as they deal with his mid-life crisis and anger at the world. Mel hates the bosses who fired him, his noisy apartment neighbors, the polluted air of the city, the smell of garbage, the noise in the street below, the leaky toilet, — he could go on and on, and frequently does. But all the tense moments (beautifully acted by both Fenley and Morrison) are soon relieved by the ever-present wit of Simon’s script. It made for an enjoyable night of theatre, and those who like a good laugh were not disappointed. 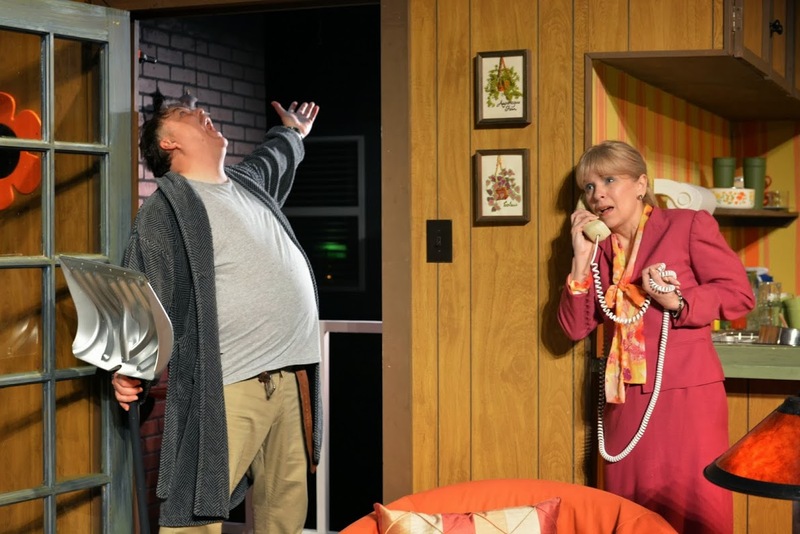 The laughs will now continue with TEXAS REP’s next offering of Marc Camoletti’s hysterical farce, BOEING BOEING. It will preview on March 20th, and a have its Gala Opening on March 21st at Texas Repertory Theatre in the Northwoods Plaza at 14243 Stuebner Airline Rd., Houston, Texas. Performances continue through April 13th on Thursdays at 7:30 pm, Fridays & Saturdays at 8 pm, and Sundays at 3 pm. For tickets and information call 281-583-7573 or visit the website at www.TexasRepTheatre.org. This entry was posted in Broadway, BroadwayStars.com, HERE HOUSTON-Lifestyle & Entertainment, HereHouston.com, Houston Community Newspapers online, Neil Simon, Prisoner of Second Avenue, Texas Repertory Theatre, Theater Reviews, ThePeoplesCritic.com, YourHoustonNews.com and tagged Broadway, comedy, Houston, Neil Simon, Prisoner of Second Avenue, Texas Repertory Theatre. Bookmark the permalink.